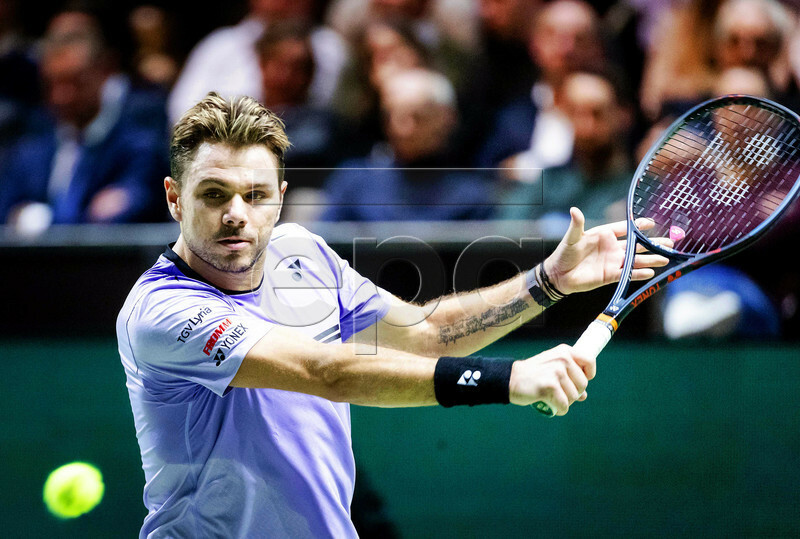 Stan Wawrinka advanced at the ABN AMRO World Tennis Tournament on Monday, defeating good friend and familiar foe Benoit Paire 7-6(4), 6-1. Paire served for the first set and even had a set point while serving at 5-4, but he could not convert and it was downhill from there for the Frenchman. Wawrinka is joined in the second round by Nikoloz Basilashvili, Andreas Seppi, and Mikhail Kukushkin. In doubles, an impressive draw got underway with the teams of Jeremy Chardy/Henri Kontinen and Philipp Kohlschreiber/Fernando Verdasco picking up wins. No. 2 seeds Lukasz Kubot and Marcelo Melo will be in action on Tuesday. Goffin and Monfils will be facing each other for the fifth time in their careers. The head-to-head series stands at 3-1 in favor of Goffin, who is 2-1 against Monfils on hard courts–although three of their showdowns have required final sets (including at last year’s French Open) and the only exception was a retirement by the Frenchman at the 2017 U.S. Open. Monfils is making a quick turnaround following a semifinal result in Sofia, where he upset Stefanos Tsitsipas in the quarters before falling to eventual champion Daniil Medvedev. Herbert is even less-rested than Monfils, coming off a runner-up showing in Montpellier that has him up to a career-high ranking of No. 36. He has won multiple matches at three straight events to begin the season, also advancing to the Doha quarterfinals and the Aussie Open third round. Nishikori has been outstanding in 2019, sporting an 8-1 record that includes a title in Brisbane and a quarterfinal performance in Melbourne.